Cloud-based ebook platforms have never been terribly popular, but UK-based publisher Constable & Robinson thinks they may have found a new market where the shortcomings might go unnoticed - gift giving. They have just launched a new ebookstore at GiftAneBook.co.uk, and it is built around a novel premise. 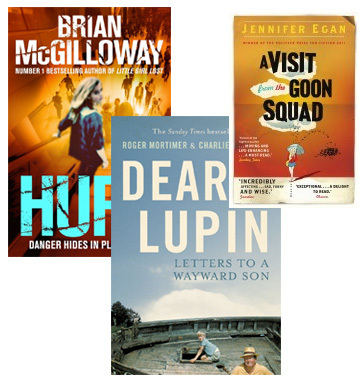 Readers can choose from among 1,200 titles published by C&R, including A Visit from the Goon Squad by Jennifer Egan and MC Beaton's Agatha Raisin crime series, and after buying an ebook they can choose to give away a second copy to a friend or relative. The selection is limited to only C&R titles at this time, which might limit its appeal. But I don't think the limited catalog will bother readers quite as much as the technical limitations. 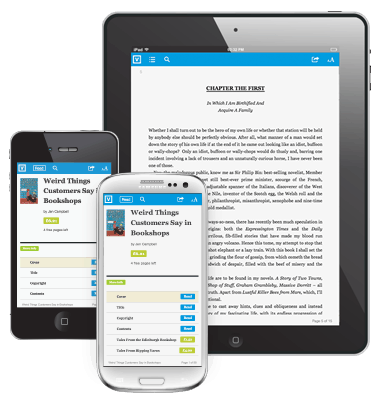 You see, this ebookstore is built on tech from Valobox, a UK ebook startup that has developed their own pay-as-you-go reading model similar to that of PaperC in Germany or Israel's TotalBoox. Depending on how you look at things that might be a problem. eBooks from Valobox can be read in any web browser, but they cannot be downloaded and read offline. There's also no support for ereaders or other reading apps, further limiting an ebook's usefulness. This also means that readers will only have access to an ebook so long as they have internet, and so long as C&R maintains the website. I have disliked cloud-based ebooks since the Australian ebookstore Booki.sh launched into beat in early 2011 for the simple reason that if you cannot download the content you have no way to back it up just in case something happens. Far too many ebookstores have been shut down over the past few years, and some like the Nook Store are on their last legs.